CCS Boys gain one entry in Division I.
NS lost one entry in Division V.
CCS Girls lost one entry in Division III. Feel free to comment on the above rankings in the comment section below. Anybody missing? Surprise teams? Any transfers? Lots of thanks to Coach Ozzie and all his hard work with the Division I rankings. 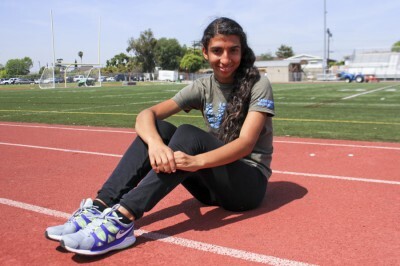 Today we chat with Acalanes 800m. runner, Adler Faulkner. 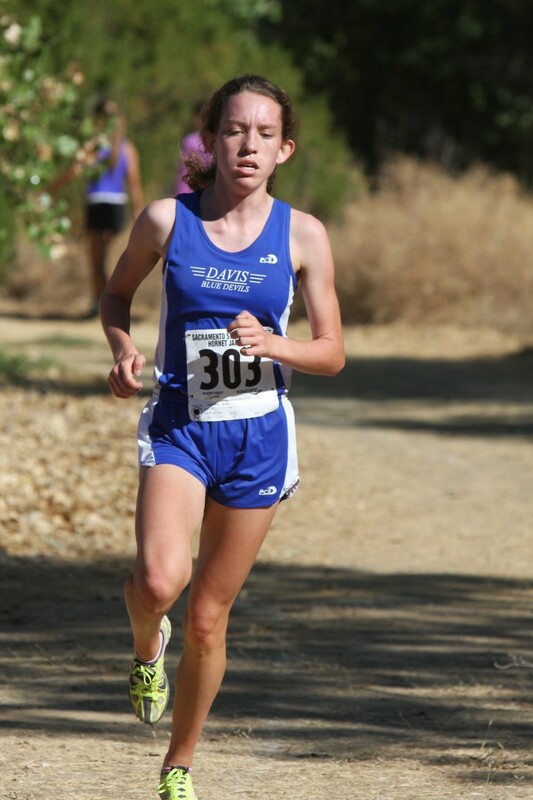 This past track and field season, Adler finished 2nd at the California state track and field meet in the 800m. with a lifetime best time of 1:51.30. He was also North Coast Section 800m. champion with a then lifetime best time of 1:53.92. Adler has been one of the top runners in NCS since his freshman season when he dipped under the 2:00 barrier in the 800m. He was also one of the top cross country runners at Acalanes running on the varsity team all four years (picture to the left is from Adler's sophomore XC season at the 2010 Ed Sias Invitational courtesy of sportsimagewire.com). So when I was young, I pretty much did at least a year or two in a lot of different sports: lacrosse, soccer, baseball, basketball, roller hockey, and ice hockey. But as I got older they weeded out until in middle school I was only playing ice hockey. It was something my dad had done, being Scandinavian, and was a sport I came to love. In middle school I ran track pretty trivially, although I always was one of the, if not the, fastest kids in the middle school leagues in both track and cross country. In fact in 8th grade was the first time I ran XC and won almost all of the middle school races. 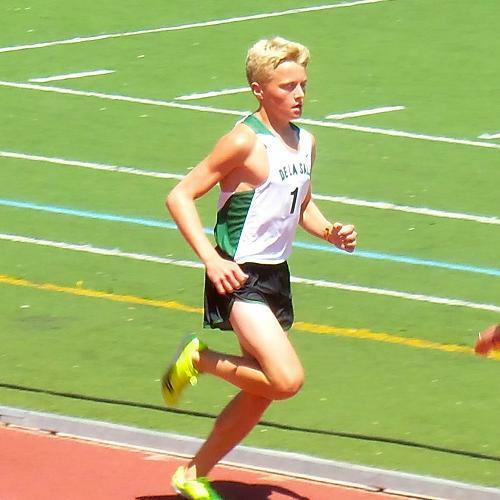 The summer after eighth grade, just before freshman year of high school, I ran club track for Diablo Valley and that's when track really became my #1 sport over ice hockey as I competed in the Junior Olympics and placed 4th in the 800m as a youth boy, running 2:04. I still played hockey freshman year of high school and in fact my team and I won the state championship that year. I actually missed out on a 4X800 relay at the Arcadia Invitational because I was playing in the state ice hockey championship. I stopped playing hockey after that season and have been getting more serious into running ever since. 2) What do you remember about your freshmen experience in both sports? Highlights? Freshman year was a great year for me. It was quite a memorable year as I got to follow behind a couple seniors and long time running families at Acalanes who took me under their wing and showed me how fun the sports could be. The largest reason for my quick admittance into the Acalanes track family was my season during the summer being coached by a former Acalanes runner, Harlan Lopez. That season showed the coaches and upper class-men that i'd be a vital part of the team in XC and track that coming year as a freshman. It was thus almost expected that I break 2:00 as a freshman in the 800m, which was quite a thrill and a huge step in becoming a true middle distance runner. 3) What about your sophomore seasons? Highlights? Sophomore year was definitely my highlight year in cross country. 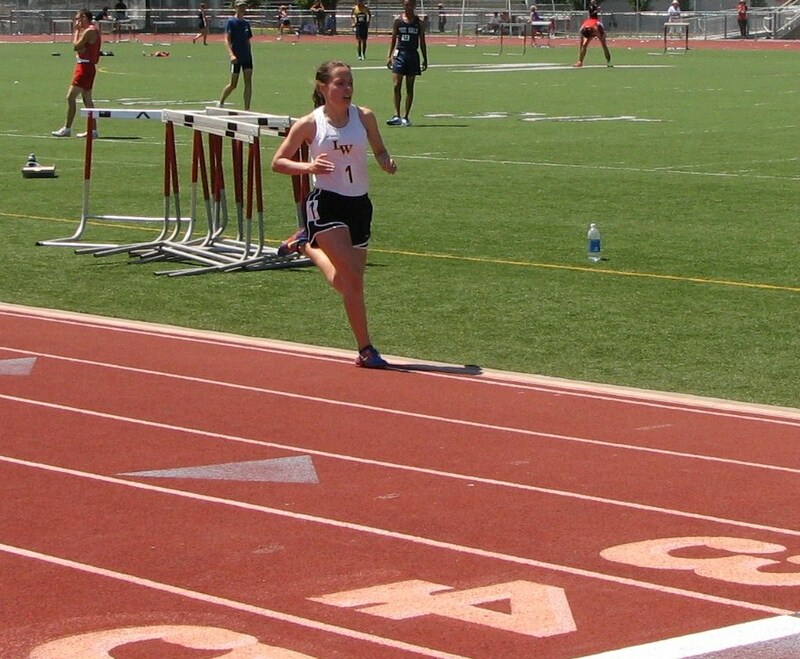 Although I ran 1:56, a respectable time in the 800, I had more momentous successes in XC. Along with my teammate, Tyler Troxel, I qualified individually from NCS to State, running the fastest paces I ever have in a 5k. Tyler (who is a year older than me and runs for Chico St.) and I ran many races right next to each other, pacing and pushing each other, which I think contributed greatly to our success that season. 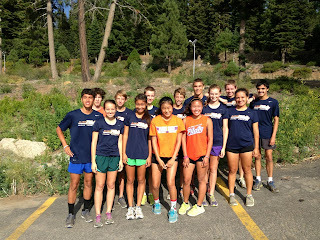 4) Going into your junior season in cross country, did you do anything different over the summer in terms of training? 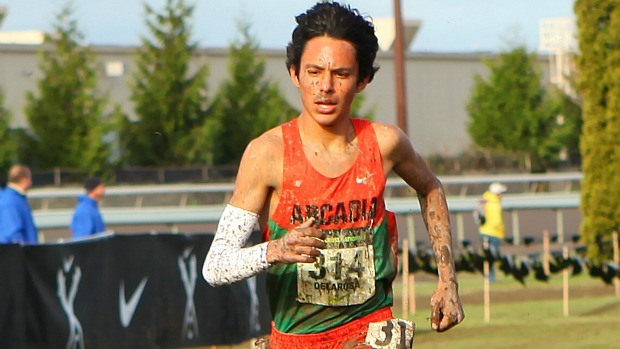 Highlights from your junior cross country season? Junior year I had a bit of an odd XC season. 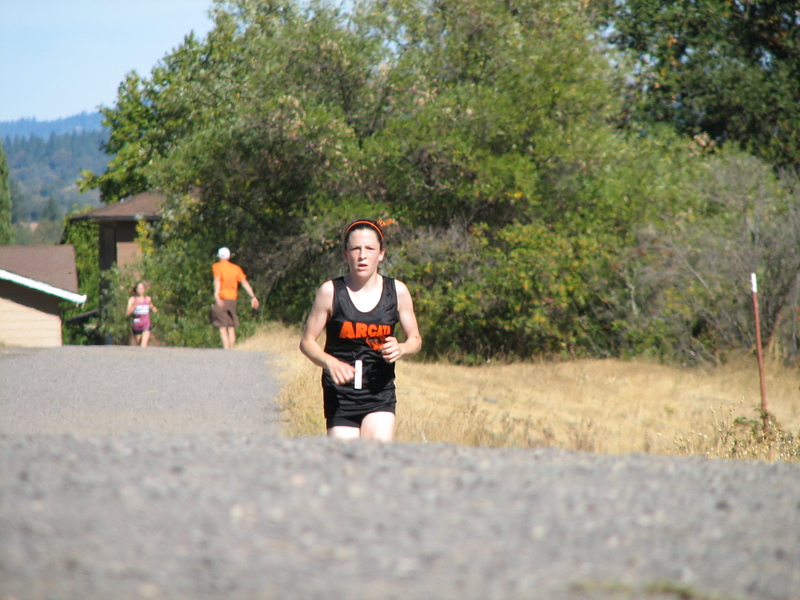 My mother passed away from cancer the summer before Junior year started and I was sort of unfocused mentally for that XC season, delivering pretty terrible races compared to Sophomore year. However I turned it around during track that year running 1:54.39 at the Sacramento MOC, which was just .01sec off of my school record. I think I peaked a bit too early that season and wasn't able to get past NCS MOC or run any faster that year. 5) You weren't able to compete at the NCS XC meets during your junior and senior seasons. How frustrating was it to not be able to compete and what did you learn from those two experiences? Yeah, it was very frustrating to not be able to compete to my best abilities for both of my last two XC seasons. Again, junior year I was on a bad level mentally and dropped out of the NCS meet. 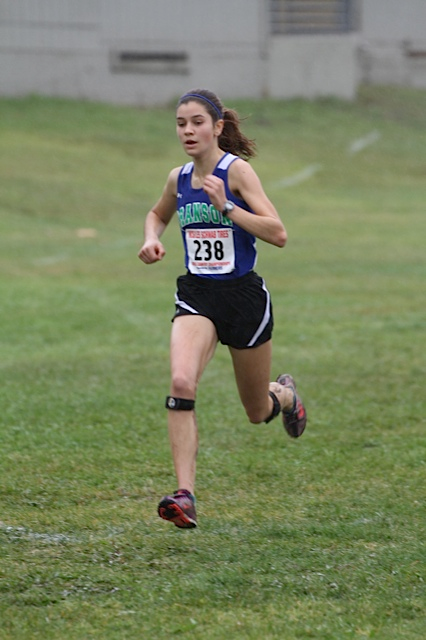 Then as a senior, I had a stress fracture in my foot and was unable to run for the second half of the season. That was a lot more devastating to me than Junior year, it being my last highschool XC season. 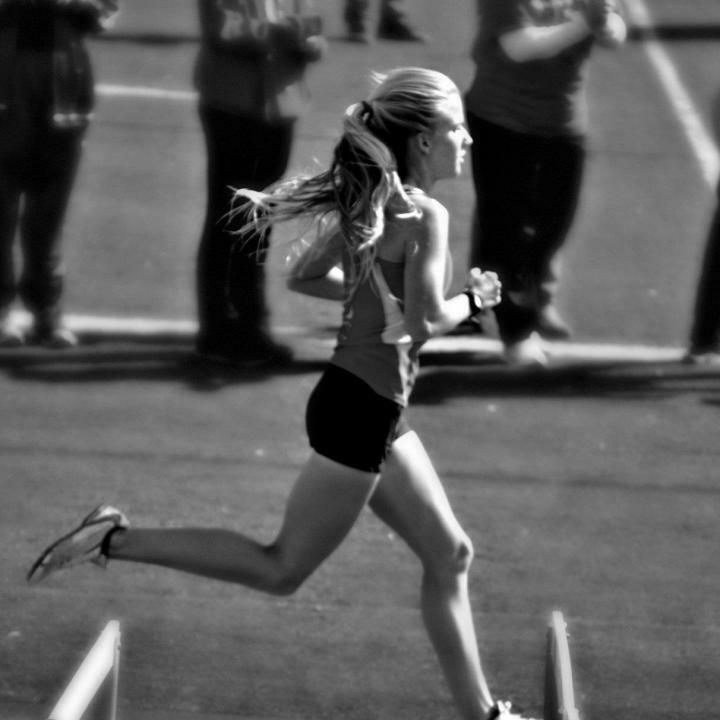 I was so hopeful to try to go back to the level I was running at sophomore year and in fact showed signs of it at the start of my senior season. Mostly those seasons just taught me how to move on, not just in running but in all of life. One bad race didn't seem as bad anymore compared to missing a whole post season. 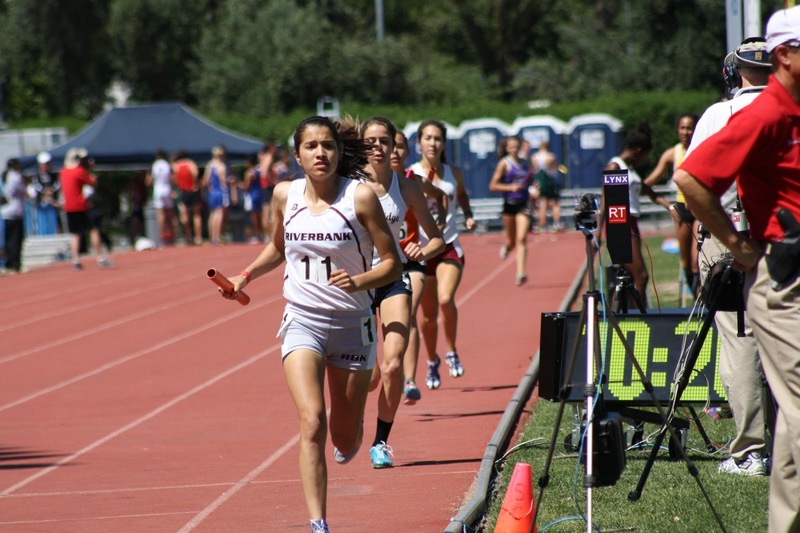 6) You made the NCS MOC final in the 800m. last year. Tell us a little about that race and what lessons did you take away from it? The way I ended my sophomore and Junior year track seasons were quite similar. I think I didn't have enough base miles, and strength overall. I tended to peak in the middle of the season. I also was still gaining experience in the post season, which I utilized this last year. Some of that experience was just the mindset to have the ability to keep pushing and improve every race, to really want it (to get past NCS). 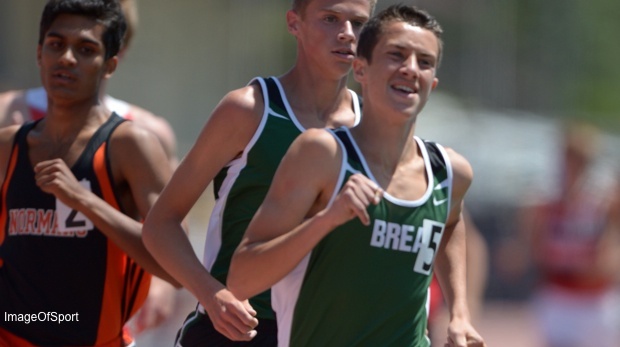 7) Heading into the NCS MOC race this year, a couple of the top runners were not able to compete in the 800m. Did you feel any pressure as one of the favorites? Coming into NCS meet this year, my competition barely crossed my mind. I have never really been the kind of runner that knows exactly who I'm racing against and what they're capable of. So even though I knew that a couple of my top competitors weren't going to be in the race, it didn't effect me much. That's one of the reasons that I think my mindset was pretty great this post season. I took it one race at a time and just raced for racing's sake without many pressures or expectations. 8) Tell us a little about your two NCS races (semis and finals) and what was it like winning the NCS title as a senior? The NCS title was amazing, I couldn't have wished for a better two days (at the time... state was an even better 2 days). Going into trials I just had a job to do, qualifying, then only once I'd done that did I think about finals. During the finals race I felt great. I'd been visualizing it a lot. Mostly the last 300m, staying steady but pushing it up front then kicking strong, something I hadn't been doing very well earlier in the season. It was just a great moment for me, accomplishing my season goals of 1. breaking my school record, 2. winning NCS, and 3. qualifying to state. 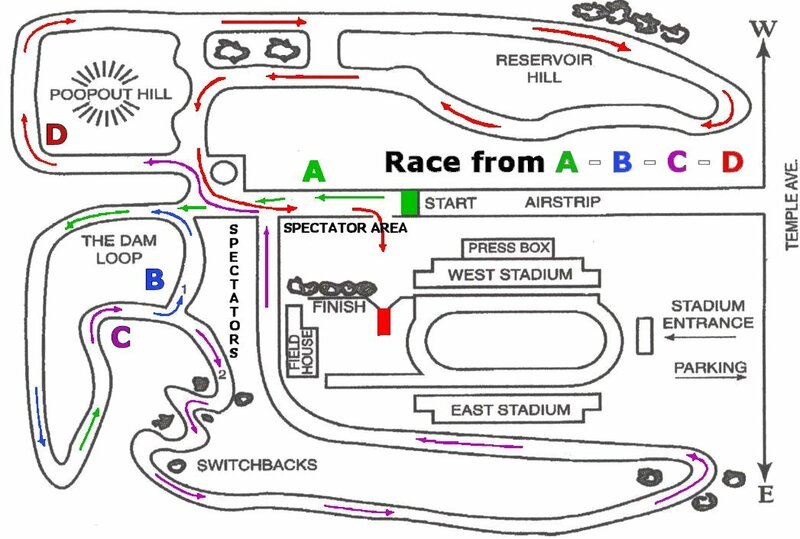 9) Going into the state meet semi, what was the race plan? What about the final? 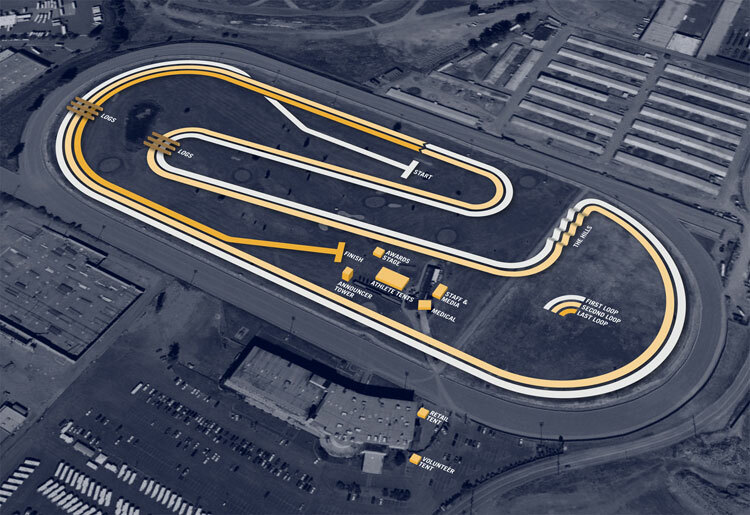 How did the race unfold? Going into state semis I knew I'd have to go all out. Again I definitely had to take on the one race at a time mindset and not even dream about finals yet. My coach and I figured i'd have to run at least 1:53 or 1:52 to make it to finals. The race ended up being easier than I imagined even though I ran a new PR. I think I was 2nd in my heat, which was a slow one compared to the others, which worried us for a bit until I found out I was the 11th qualifier for finals. Both semis and finals at state I barely remember now. In both races I just needed to stay near the front of the pack to be able to have a chance to break through and have a good last 300 like during NCS. 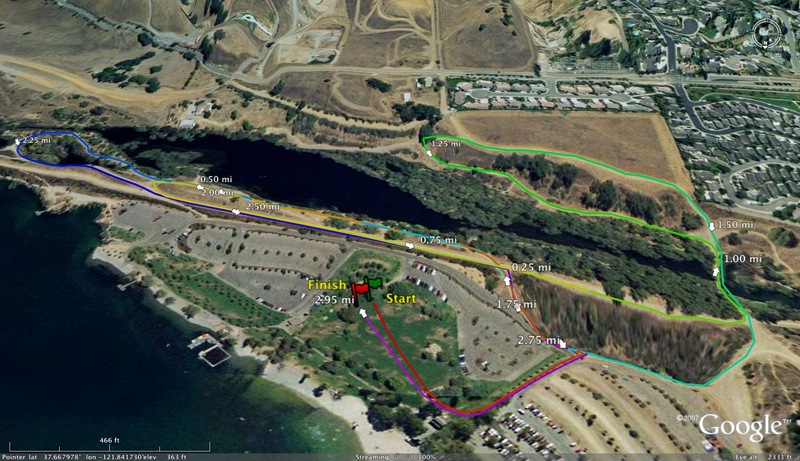 10) Favorite cross country course? 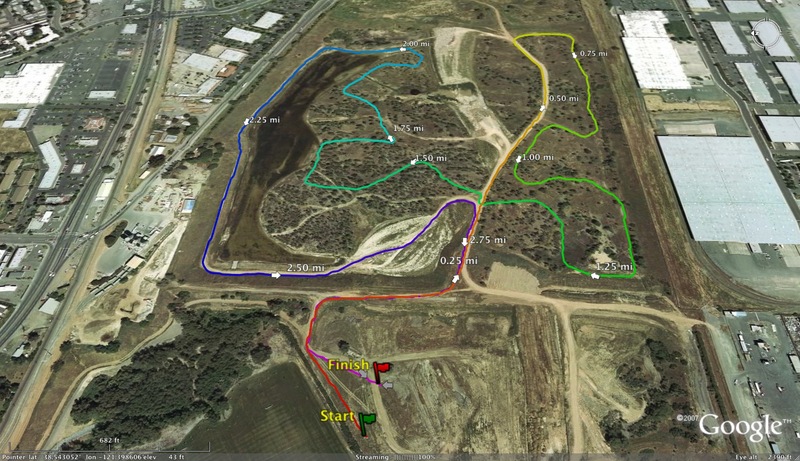 Favorite cross country invitational? Favorite track invitational? Favorite opponent(s)? 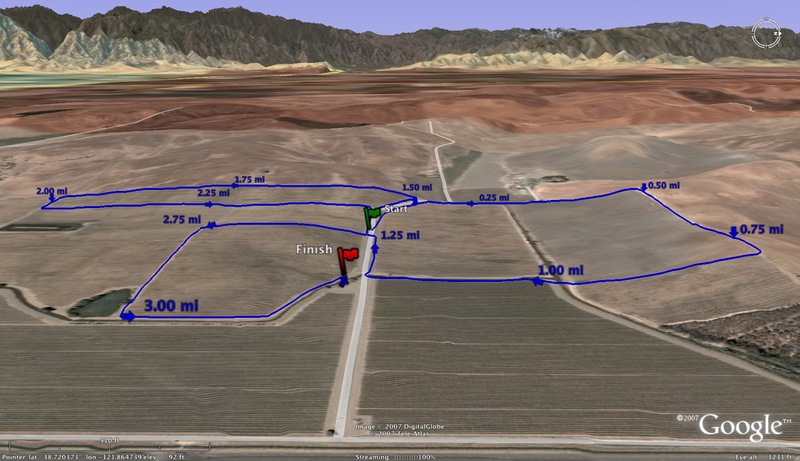 Favorite distance run? 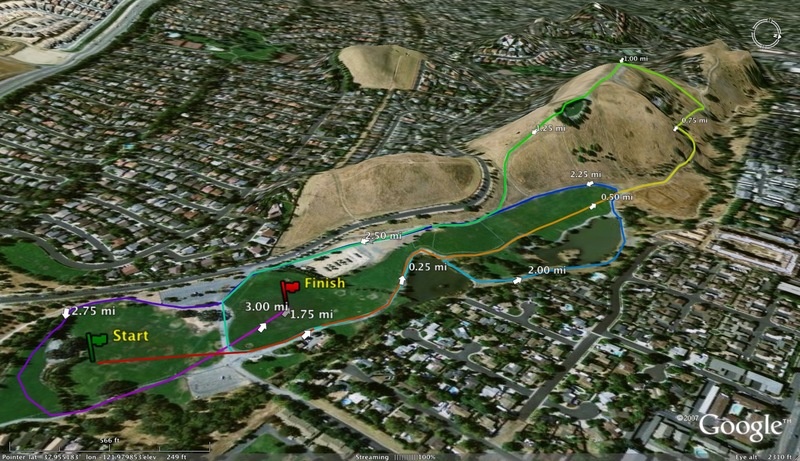 Favorite cross country workout? Favorite track workout? 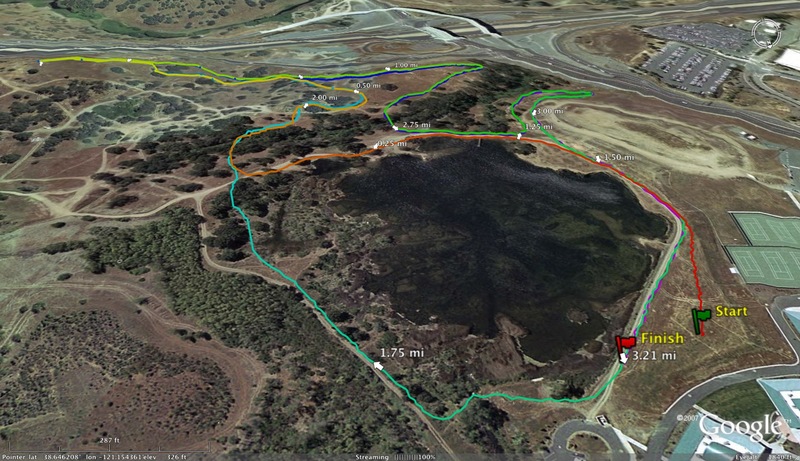 My favorite XC course is probably the Crystal Springs Course, even though I only ran there once. 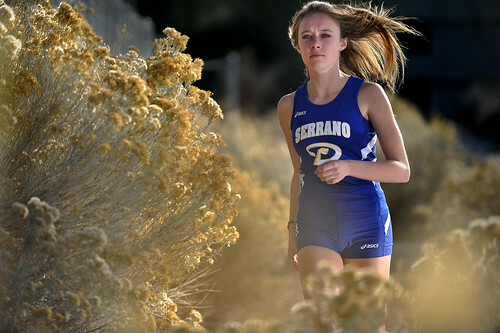 My favorite XC invitational, the Clovis invitational definitely. Favorite track invite, Arcadia. 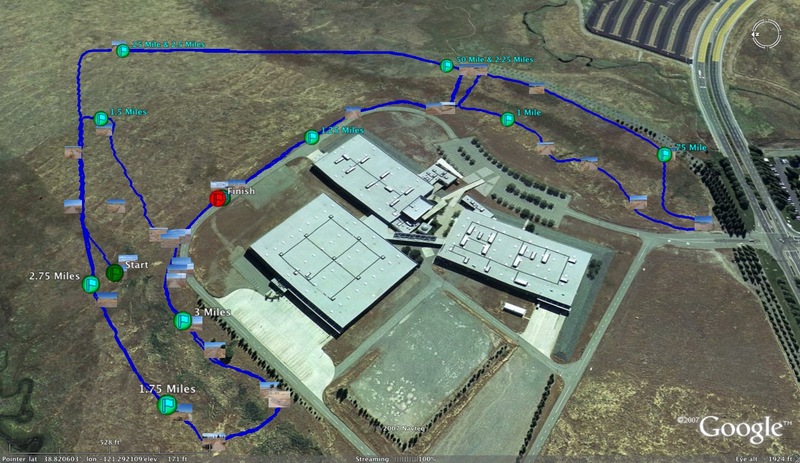 (I like big meets with high level competition, the Amador distance festival is another favorite). As for opponents, the more competitive they are, the more I like them, and in most cases the closer we are in running ability the better we can relate to each other. I really liked all the guys at NCS and state because they share similar desires and passions. 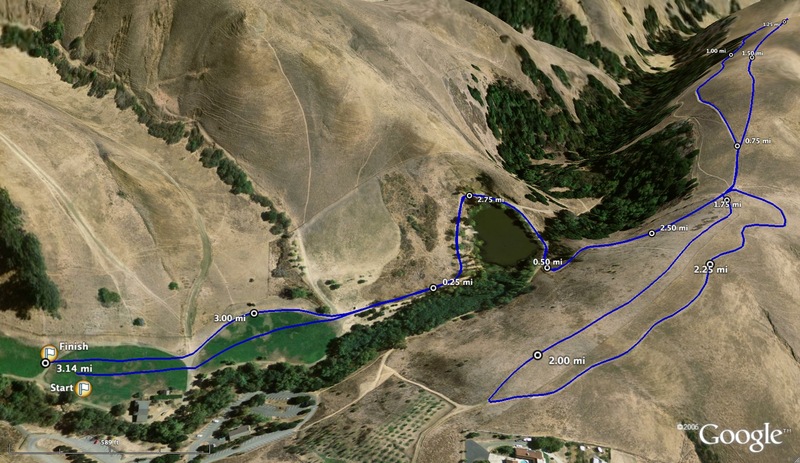 My favorite distance run is I guess anywhere on the briones ridge, especially going to the back side of the park, the bear creek entrance near the briones reservoir. 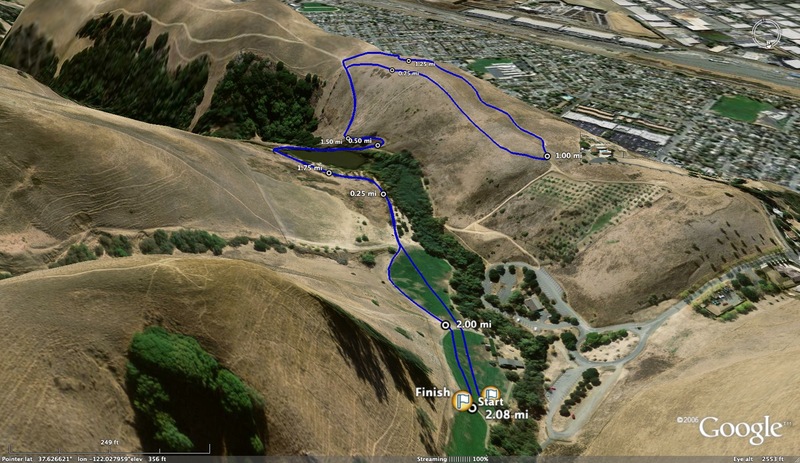 My favorite XC workout, when I'm feeling good, is doing quarter repeats, that can be a track workout as well, but I also love to just turn out 200's nice and fast, maybe after a couple 4's. 11) Tell us a little about your coaches and how they have helped you develop into the runner you are today? My coach, Tad Beach, has been a huge influence on my life in general, not only as a runner. When I first got to Acalanes he took me in on the varsity team and instantly make me part of the squad. But, it was still gradual, I wasn't just thrown into high mileage right away, it's been a healthy gradual process, getting stronger and faster. Tad has taught me a lot about how to stay focused, how to work hard and get rewarded, but most of all to stay calm and take things (like I mentioned before) one race, or one hurdle of like at a time. That has been essential to my post season success. His knowledge and passion for distance running has positively affected me as a mid D guy, to be able to use my natural speed but have that distance runner strength, it makes me the runner that I am today. 12) What about your teammates. Who has been the most influential and motivational? Each year of high school was actually pretty different for me with regards to me relationship to teammates. Freshman year. I was influenced to a very high degree by a couple seniors on the XC and track teams whom I ran with and really became good friends with that year. They pushed me to get stronger and break the "age barrier" as I started out high school and was able to start competing with the rest of the pack. Sophomore and junior years, Tyler Troxel (who is a year older than me) and I were great partners. During my sophomore year ( like I said before) we would work out and race right along side each other, pushing and motivating each other almost every day. 13) How did you end up choosing Cornell University? Planning on competing there? It wasn't too hard to choose Cornell. After talking with coaches and researching the academics at predominantly Harvard, Princeton, and Cornell, I found that Cornell was the one that most fit my interests. At Cornell, I plan to study materials science and possibly also fine art. In addition to that, I'll be running on the track team (not sure if i'll eventually do XC) Go Big Red! 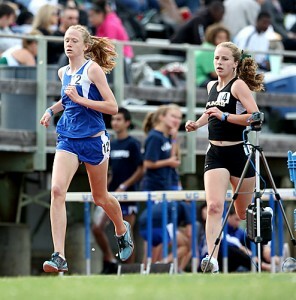 14) What advice would you give to younger runners who aspire to reach the same type of success you reached at the section and state meet levels? I'd probably tell younger runners just to relax, take each season's race by race. Listen to your body, adjust, and do what you think is right. Sure make goals but don't think too much about time or who you're up against. Just go for every race, work out and compete to your best ability and the times and success will come. 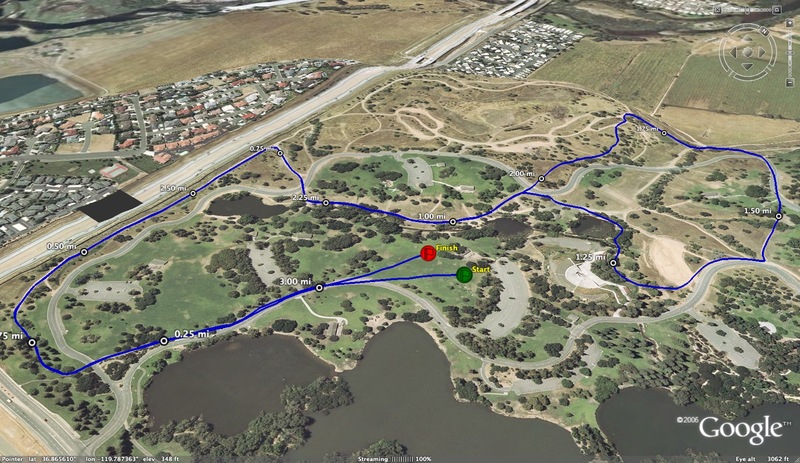 Cross Country coaches - improve your coaching effectiveness this season! Runnin2win is for the focused runner of any age to reach his/her goals and aspirations as an student of the sport. To be a student of the sport is to devote time and energy to being the best they can become. Here at Runnin2win we make it our goal to guide and train you to reach your goals whether it be fitness or time goals you have set for yourself. We have training programs for all levels, ages and development. So whether your a beginner or a veteran runner you'r more than welcome to experiment with our training aids & programs we diligently design for you. Check out our 4 Custom Design Programs ($1-A-Day, Online Coaching, iRUN+, Personal Coaching) and our Runnin2race training programs (Runnin2race - 5k, 10k, 1/2 Marathon, & Marathon). As an Online Coach I meet tons of people who think they don't quite have what it takes to get to the next level in their fitness. But what they don't understand is that we have proven programs that get you to the next level and beyond if you remain focused. Running as you know is all about consistency in what works for you, and we know what works. One of the best ways in which we understand how to train you specifically is by having you fill out the sign-up form with clear and accurate information about your training methods. To take huge steps in your running career you must be focused to make the small everyday changes that make the difference. If you aren’t sure if we have what it takes to coach you then just read our testimonials below from other focused athletes. Always good to hear from the top runners to see what makes them successful. 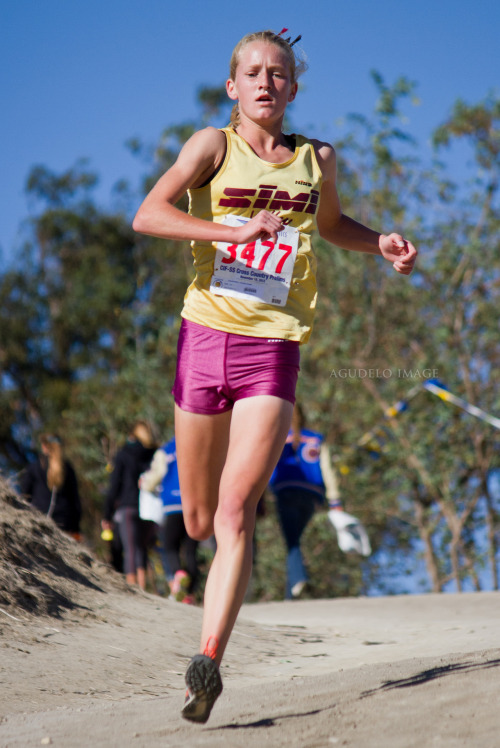 Check out the latest interview by www.dyestatcal.com and Scott Joerger with Great Oak runner, Haley Dorris. For those of you that don't know about Great Oak, they reside in the Southern Section and were division I XC state champions last year with the fastest team time overall. 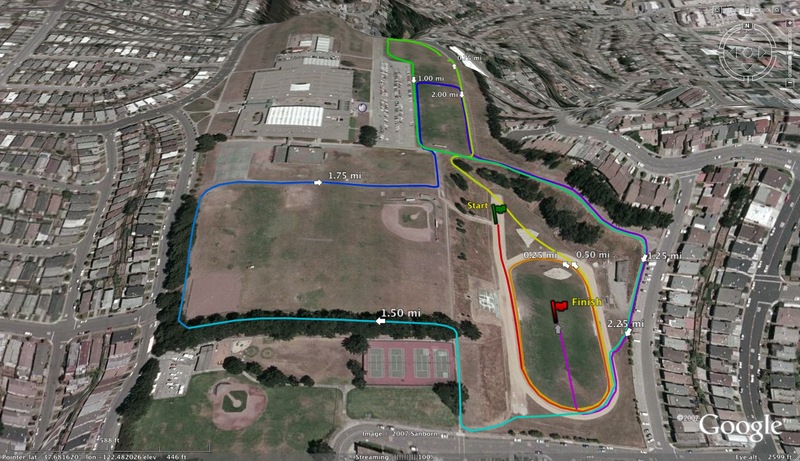 We have the high school division and a chance to run a fun, fast road mile through a fully closed downtown San Rafael! 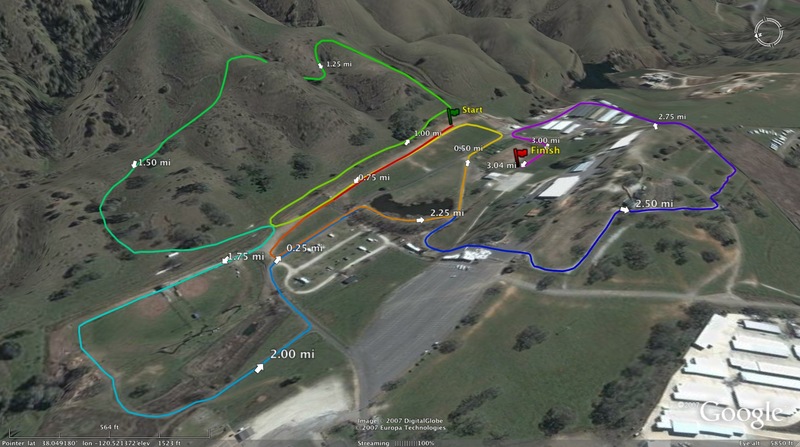 www.race415.com. Michael Coe is running in the open race so maybe even a chance to witness a sub 4 minute mile in Marin which would be a first. 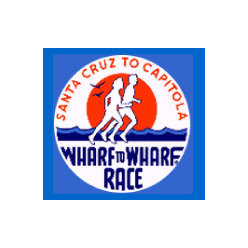 Registration closes Thursday if people want to run. 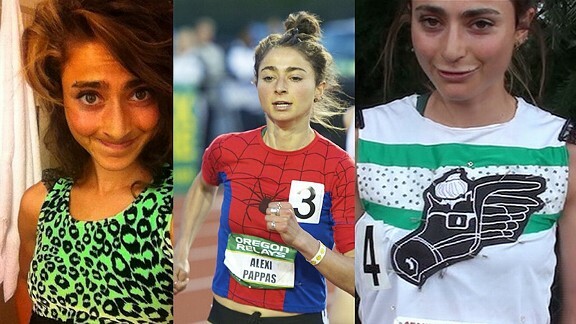 Former Bishop O'Dowd runner, Alexi Pappas, joins the Oregon Track Club. Read about it here. 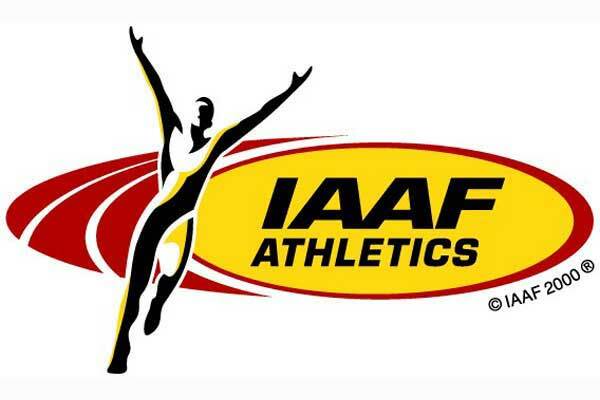 SAINT-DENIS, France – Stanford’s Justine Fedronic ran 2:00.97 in the 800 meters to break the school record at the Paris IAAF Diamond League track and field meet Saturday at Stade de France and achieve the World Championships ‘B’ standard. Fedronic, a senior who has exhausted her outdoor eligibility but still has a season left in cross country and indoor track, broke teammate Amy Weissenbach’s mark of 2:00.98 set at the U.S. Championships on June 21 in Des Moines, Iowa. Fedronic finished ninth while crushing her personal record of 2:01.67 from her third-place finish at the NCAA Championships on June 7 in Eugene, Ore. It was a Stanford record before the freshman Weissenbach broke it two weeks later. This is the first race for Fedronic since joining the French national team two weeks ago. She was born in Heidelberg, Germany, to a French father and Hungarian mother and is a dual citizen of France and Hungary. She lived in a Paris suburb until age 6 when her father, a software engineer, relocated the family to Silicon Valley and eventually settled in Belmont, where Fedronic starred for Carlmont High School. Wearing her Stanford uniform, Fedronic toed the line in lane one in an 11-runner field, racing for the first time since the NCAA’s. Included in the race were two 2012 Olympic finalists, Burundi’s Francine Niyonsaba and U.S. champion Alysia Montano. Coming through her 200 splits in about 28.5, 30, 30, and 32 seconds, Fedronic held the rail throughout the race. The pace was fast, with three under 1:58 and five under 2:00, but Fedronic never lost contact with the main pack. Niyonsaba won in 1:57.26, with Morocco’s Malika Akkaoui second in 1:57.64, and Montano third in 1:57.75. Fedronic may have set herself up for a possible berth in the world championships, which will be held in Moscow, Russia, from Aug. 10-18. She is the only Frenchwomen to reach the ‘B’ standard and no others have run faster than 2:02.40. She also is No. 18 on the European season list and No. 3 from western Europe. Fedronic, 22, will next run in the European Under-23 Championships in Tampere, Finland, on July 11-14. Wild Cards: Carter Mackey Castro Valley HS, Michael Wang Acalanes HS, Todd/Tyler Olson Livermore HS.